And there is a Challenge – a contest. Get a kit, embellish it to your heart’s content, take a picture of it and enter the Challenge. There are several spectacular prizes – including a couple of Bernina sewing machines! The official start date of the Challenge was October 15 but with everything going on the past few weeks, we didn’t get to make our own tote bags until now. Here’s how you can enter. 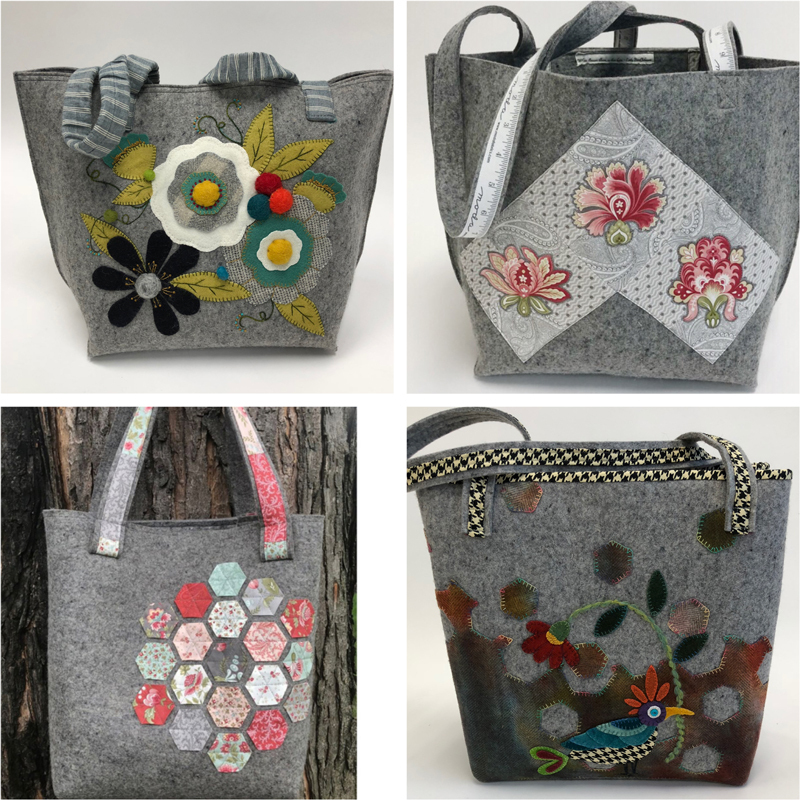 First, get a Wooly Felted Wonder Tote Bag Kit. The tote is made with 100% felted wool that is a very generous 1/8″ thick. When assembled, some layers will be a generous 1/4″ thick. The wool is sturdy and durable, and will last for many years with regular usage. The suggested retail price for the kit is $79.99. Embellishments – of every kind! Wool, ribbon, embroidery floss and perle cotton, etc. The Challenge runs until Tuesday, January 15, 2019. 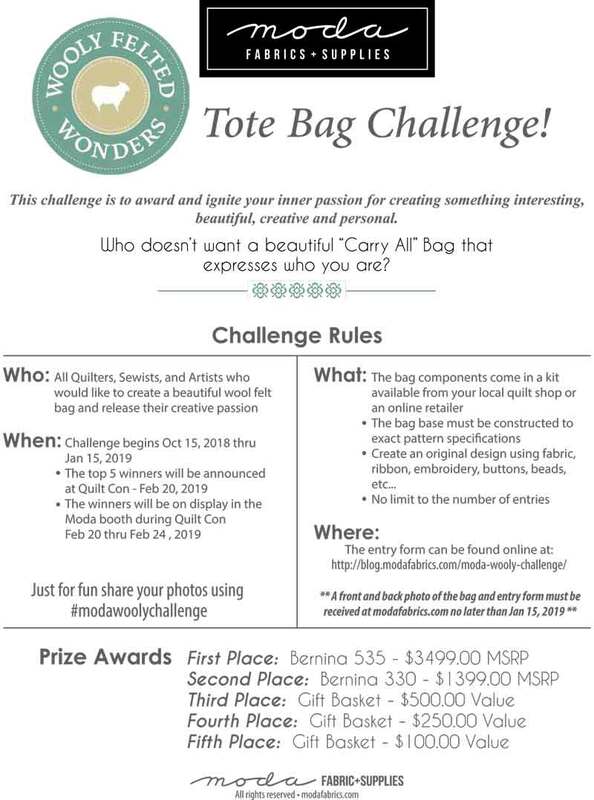 By Carrie NelsonIn NotionsTagged Tote Bag, Tote Bag Challenge, Wooly Felted Wonder9 Comments on Wooly Felted Tote Bag Challenge! Is this competition open for international persons? I would love to participate but $80 for the kit sounds cost prohibitive to me. Oops! Sorry that was meant to be a private comment / question for the author. 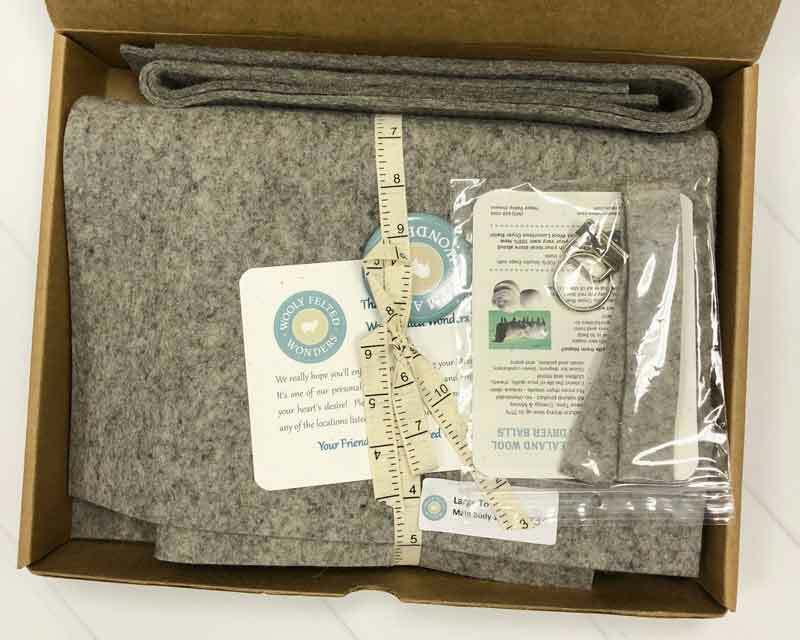 Where can I buy additional wool felt like the one used in the kit? I’d like to practice my plan first. Entry form doesn’t give confirmation of uploaded pictures or receipt of submission?